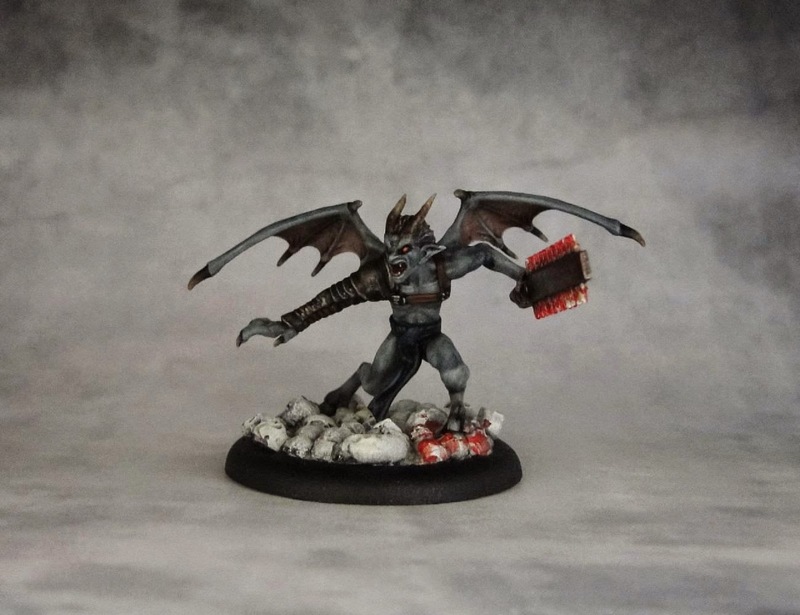 Barbaros is a new character that was introduced to Malifaux in second edition. He was an enslaved gladiator, killing other unlucky opponents for the amusement of other people. His wings had been clipped but he somehow managed to escape his captors and joined his fellow Neverborn with one goal in mind - kill as many humans as possible and get his revenge. 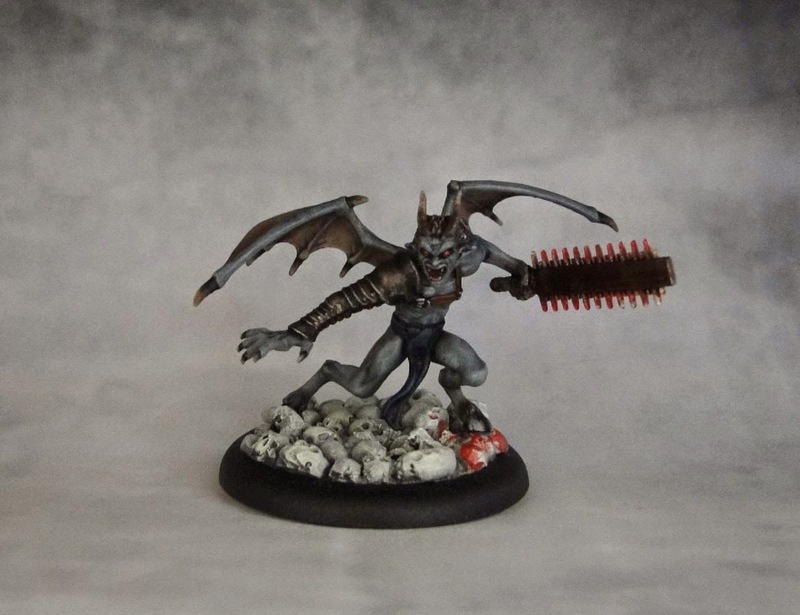 Barbaros is Lilith's go-to henchman with his high mobility and skills that give him some board control tricks. He is a fierce melee fighter and his Macahuitl can dish out a lot of damage. 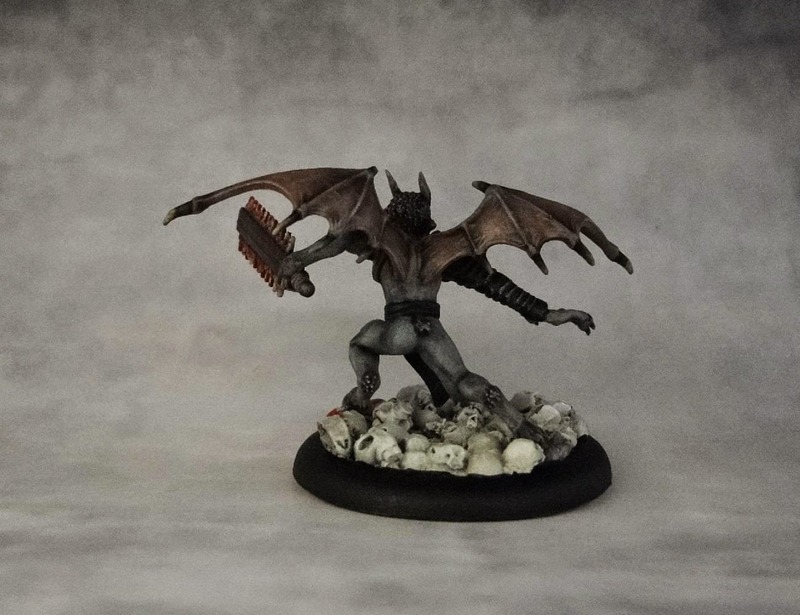 With an upgrade he can use a (0) action to push other non-Nephilim models away. The only problem is that he has 9 Wd, which is not a lot for a melee-oriented character and he has no way of healing himself.